This 12” tall, super-soft plush toy will be sure to bring a smile to your face. 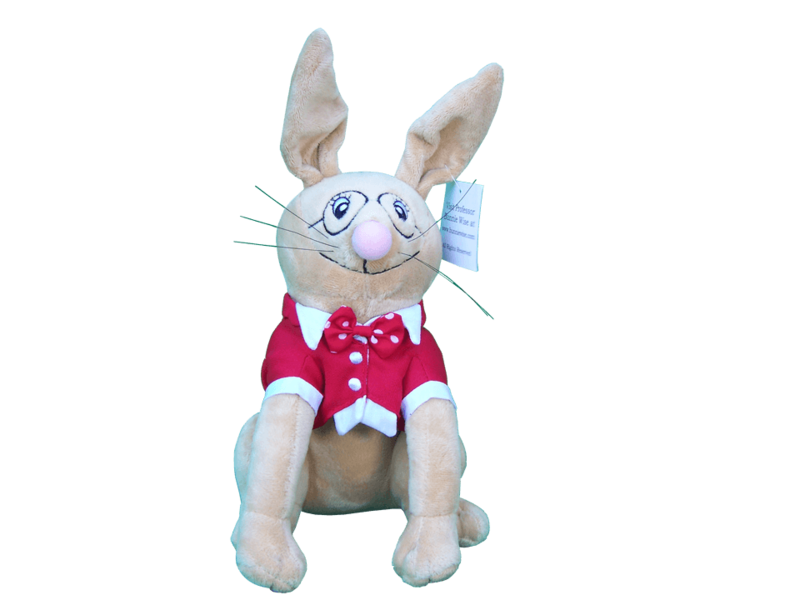 Professor Bunniewise represents pursing your heart’s true passion and making a difference in the world every day. The smiling Professor is a great friend to children and adults alike, always there to remind you that you are God’s special gift to the world. His red polkadot tie and coat offer just the right antidote to a blue day and his wire frame glasses show he is well-read and full of cuddly wisdom. Order yours today!